Learning Arabic in the middle of a hectic schedule can prove quite a challenge. But language learning is all about keeping the momentum going. Here are a few ideas that can help you stay ahead with your Arabic, even if you are really busy. Why Keep Working On Your Arabic Vocabulary? While it is important to take the time to learn grammar, words are the building blocks of the language. And while Arabic has more words than any other language, you need a surprising few words to start understanding things. That is where frequency lists come in. There is always a huge difference between the number of words in a language and the number of words in active usage. While many might know the meaning of English words like ‘intricate’ and ‘ludicrous’, no one really uses it in day to day conversation. So if you are learning English to communicate informally, you should start with words that are used in conversation. The same goes when learning Arabic. If you are learning Arabic to understand the Quran, you need to start with words in the Quran. Putting the words of the Quran into a frequency list, yields some amazing results. 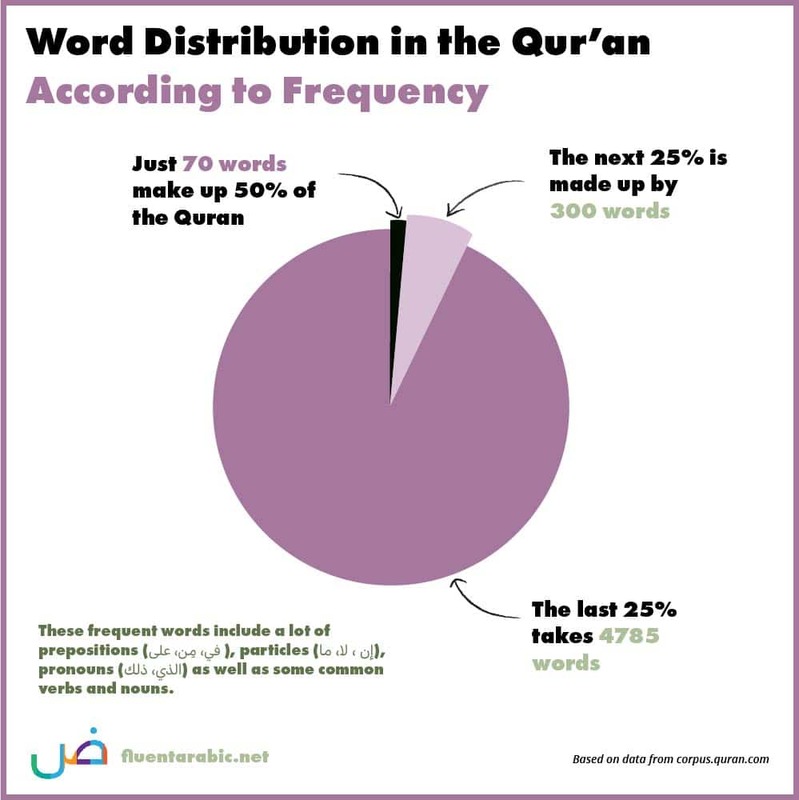 For instance, we find that just 70 words make up about 50% percent of the Quran. Mastering these 70 words and the ways they can be used, can help you understand half of the Quranic text in Arabic. Amazing right? Download the entire frequency list of the Quran here. Once you have determined which words you want to learn, you need to find the time to do it in between your busy schedule. What most people don’t realise is that they have the most powerful learning tool right in their pocket. 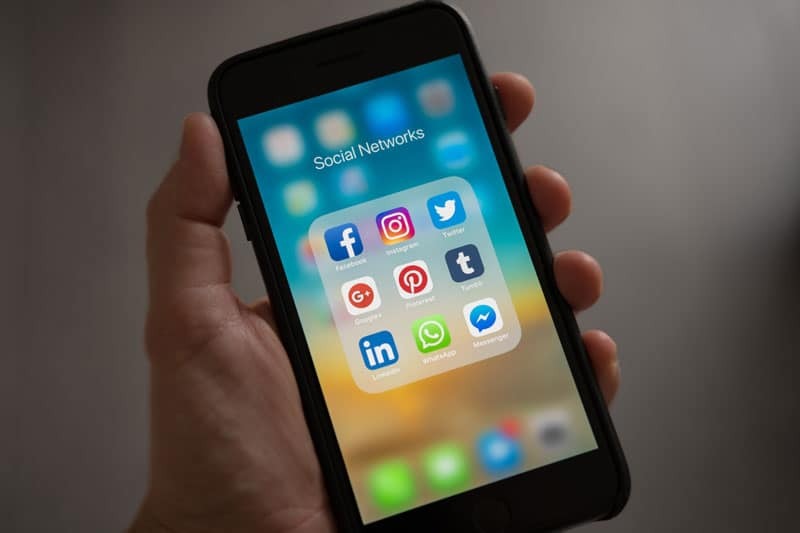 It is available to them wherever they are, 24/7. Yes, your mobile phone. Flashcards are a proven way to learn. Moreover, it’s a great solution for busy people. So as I was saying, the next time you get the urge to check your phone, open it up and learn a new word! Anki is the more sophisticated of the two. 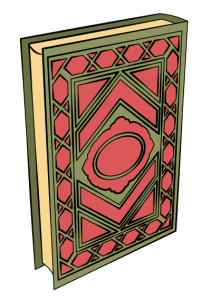 It is a spaced repetition system that works really well. 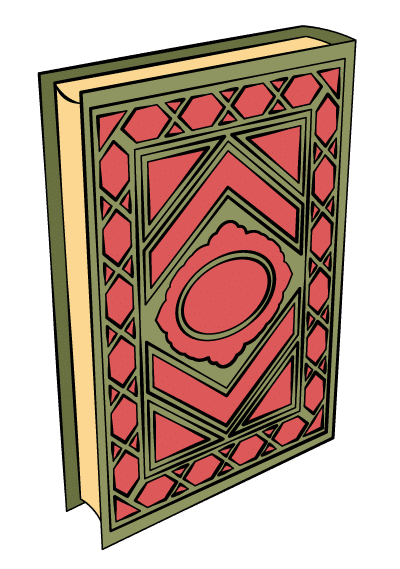 You chose one of the shared decks, shared by other users, or make your own. Anki shows you a word and then shows it to you again after a specific period of time. You can choose hard, good, easy or see again based on how easy it was to recall it. Based on that Anki decides when to show it again. Quizlet is a straightforward flash card app for those who prefer simplicity. You can keep reviewing the cards until you learn them. Quizlet has great Quranic word lists uploaded by users as well. Always remember! You will never really master a word unless you use it. In this case, you can search for the word you learn in the Quran with an app like Zekr. 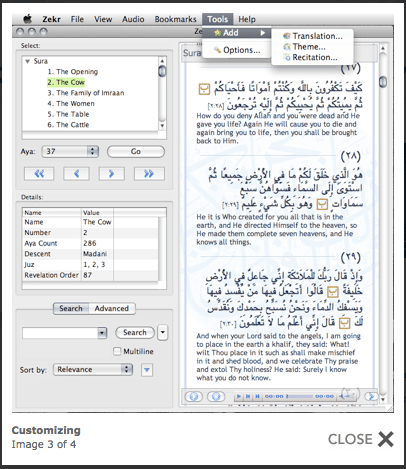 Zekr, lets you search the Arabic words and find all its versions in the Quran. This will let you see it in context. Another great way to practice your words is to write short essays or even a few sentences using the words you have learned. Then get it corrected at lang-8 or italki. These sites let you find a native speaker who will correct your writings for a small fee. If you can afford this, this is something I definitely recommend. If not, then put your writing up on a community like reddit learn_arabic. Someone will be ready to help you out InshaAllah.